Canada's economy has been sliding for months due to plunging gas and oil prices, and it was recently declared that the country is indeed in a recession. As Canadians watch the value of their dollar decline, they are also witnessing a boom in their tourism industry. 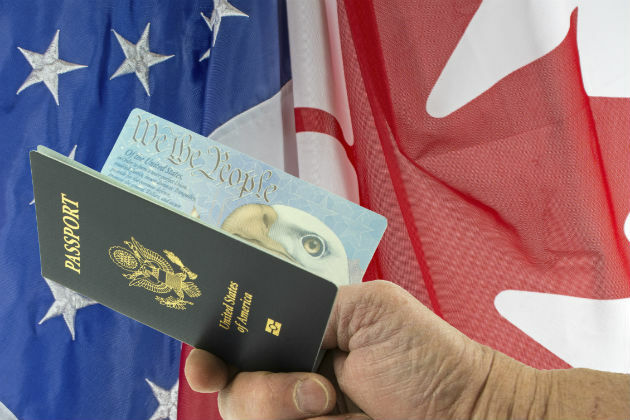 In recent months, Americans have been coming to Canada in record numbers, looking to make use of the increased value of their dollar. What does this tourism boost mean for operators and the industry as a whole? Canada's gross domestic product (GDP) has been in decline since the start of 2015, and this summer, the Canadian dollar fell below 75 cents U.S. for the first time since 2004. With the GDP declining in two consecutive quarters, Canada's economy was legally declared to be in a recession. And while Canada never fully experienced the recession that the United States did in 2009, many are saying that there is still hope in avoiding a major economic collapse. After all, the Bank of Montreal's Douglas Porter recently called this economic hardship the "Best. Recession. Ever." Why? The GDP might meet the definition of a recession, but other symptoms just aren't there. Porter points out that the housing market is still strong, and job losses just aren't happening — in fact, jobs are still being created. More on this, in a minute. The weakened economy has not been "doom and gloom" for Canadian hospitality and tourism providers, as they have seen Americans visit in record-breaking numbers across the country. With the value of the dollar topping the loonie by a quarter, vacation prices have been attractive and affordable. Some tourism providers have found their staffing levels growing to keep up with the demand of incoming visitors. Furthermore, there hasn't been a specific city to which tourists have been drawn. Tourism numbers are up across Canada, with trends pointing to Americans frequenting Canadian border towns, making overnight and same-day visits. Statistics Canada recently reported that there were 1.9 million trips made to Canada by Americans in June, marking the highest amount of visitors in more than seven years. And it's not just an influx of Americans — Victoria, British Columbia, among other cities, has seen an increase in the number of tourists coming from overseas as well. So how have Canadians reacted to their declining dollar? They have certainly been hesitant to cross the border, and tourism providers have taken note. In Windsor, Ontario, Gordon Orr, CEO of Tourism Windsor Essex Pelee Island, points out that while Americans have increased buying power, there has been a greater marketing push for "staycations." Canadians looking to stay home and travel within Canada may wish to visit nearby resorts or bed-and-breakfasts, ultimately supporting local businesses, as well as the economy. After all, the economy will soon be an even greater issue. The upcoming federal election this fall has already brought several economic issues to the forefront — including how funds will be allocated to tourist groups. NDP leader Thomas Mulcair has pledged $30 million to market Canadian tourism to Americans, while Liberal candidate Pamela Goldsmith-Jones is focused on connecting the tourism industry to the natural environment. Regardless of which candidate is named the next Prime Minister of Canada, it is apparent that each is committed to further strengthening the country's tourism industry. Given current trends, it may be wise to have a plan in place for when the economy recovers, too. As it stands, there are already a few projects in the pipeline that will promote and support tourism across the country. Earlier this summer, the Gordie Howe International Bridge was announced — a border crossing between Windsor and Detroit, to relieve congestion on the Ambassador Bridge and Detroit-Windsor Tunnel. There have also been several funding announcements for local initiatives in Rossland, B.C., and Cochrane, Ontario. Funding is currently sought in Saskatchewan to rebuild some of the infrastructure lost this summer by destructive wildfires. Despite the current economic conditions, both the government and tourism providers see the tourism industry as a way of contributing to the economy, while also showcasing Canadian culture and landmarks. And although the thought of a recession may conjure memories of previous economic downturns, remember that Canadian economists have yet to panic. We do not know what the future holds for the Canada's economy, but for now, we can probably take an educated guess as to how Americans crossing the border will leave an impact this fall and in the seasons to come. Katherine Radin has been a content editor with MultiBriefs since 2013. She graduated from the University of Guelph with a degree in Honours English, and from Wilfrid Laurier University with a Masters of Arts in Communication Studies. She has worked behind the scenes at a local television station, been a university-level teaching assistant, and has served as a digital media research assistant at the Laurier News Lab.